Oh boy. I’ve had this book to review since last year…I’m not even going to tell you how long I’ve had it, because then I will just start feeling even worse/more embarrassed that I’ve taken forever to actually, you know, review it. Kristin, I’m very sorry it has taken me so long! Ok, moving swiftly along! The usual disclaimers: the publisher sent me a copy of this book to review and there’s an Amazon UK affiliate link in the title below. 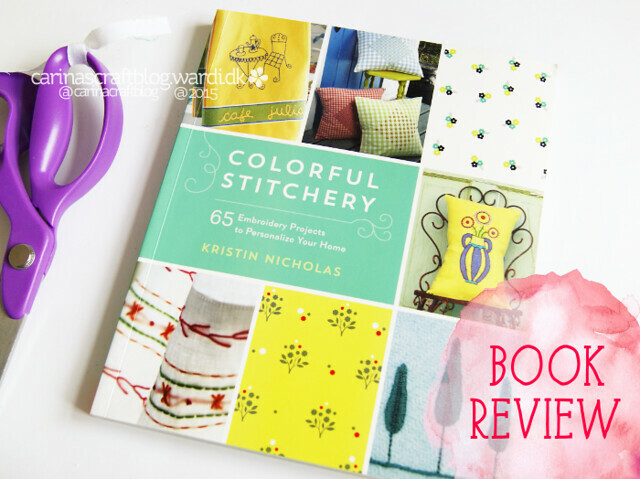 Colorful Stitchery by Kristin Nicholas. The title is definitely not wrong, there are lots of colours in this book! 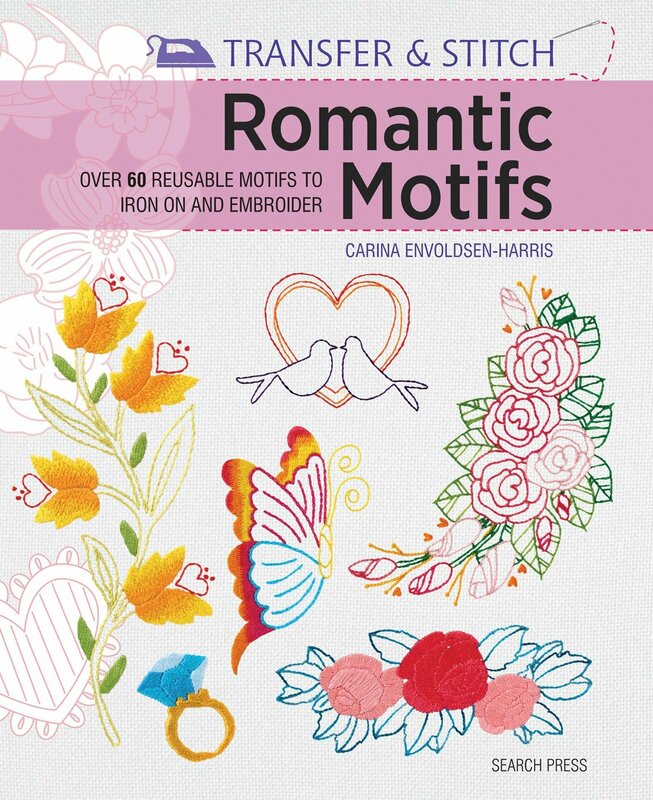 Obviously, I want to write an honest review, so I’ll just get a small annoyance out of the way: the sub title is “65 Embroidery Projects to Personalize Your Home”. 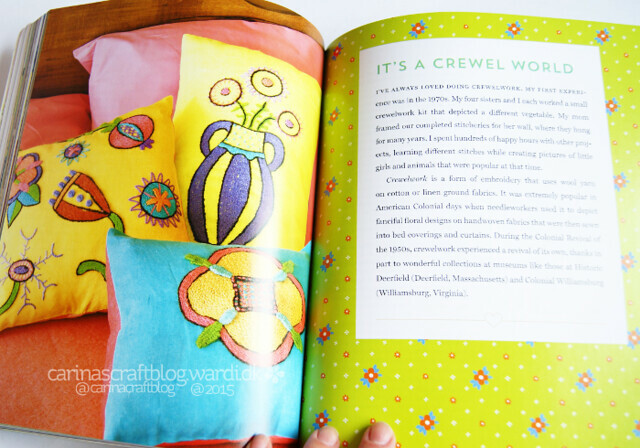 Out of those 65 projects, 38 are cushions (yeah, I counted ’em, I’m a weirdo). Blimey, that’s a lot. I know from experience that it can be tricky to come up with project ideas for a book, but maybe 38 variations on a cushion is a wee bit much. That being said, there’s a lot of inspiration to be found in the book. And there’s a lot of content packed into it as well. 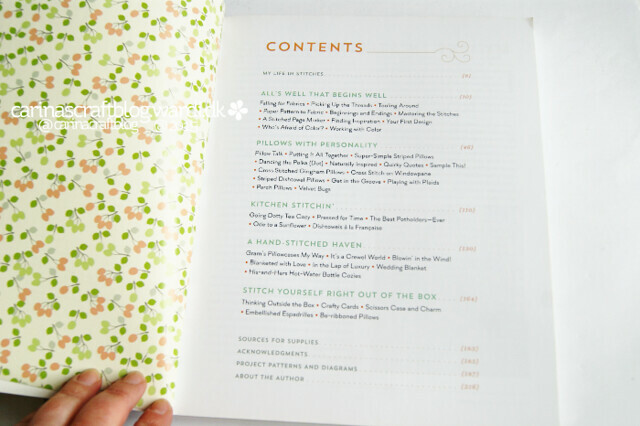 ‘All’s well that begins well’ – this goes through the usual things like stitch tutorials, various tools you need and how to transfer patterns. 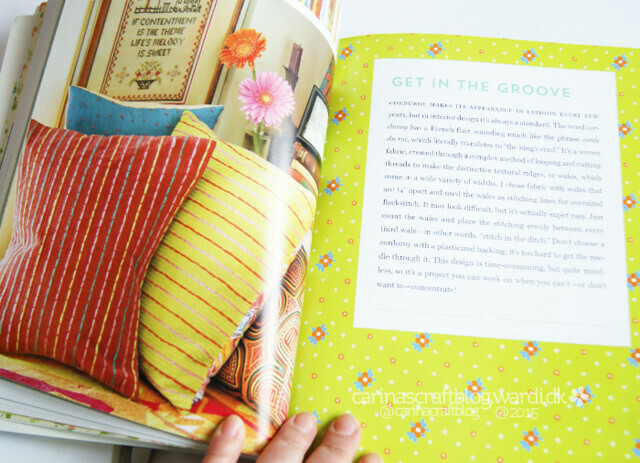 But it also includes some colour theory as well tips for stitching on various types of fabric and how to test (vintage fabric) and care for your fabric. 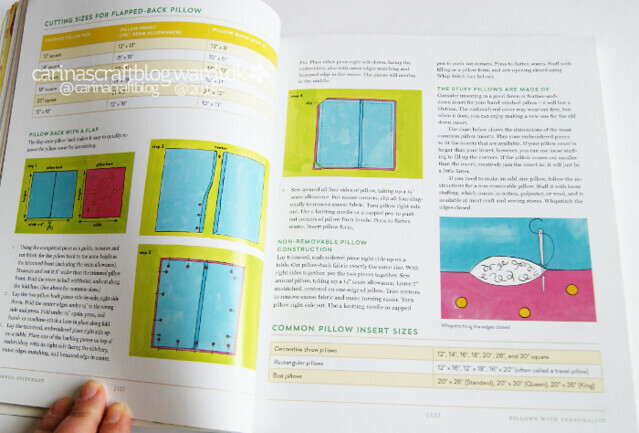 There is also tips for dyeing fabric. 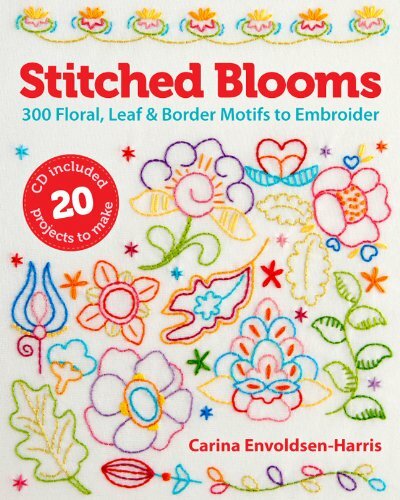 A nice introduction to embroidery if you are new to it, and more experienced stitchers can pick up a few tips too. 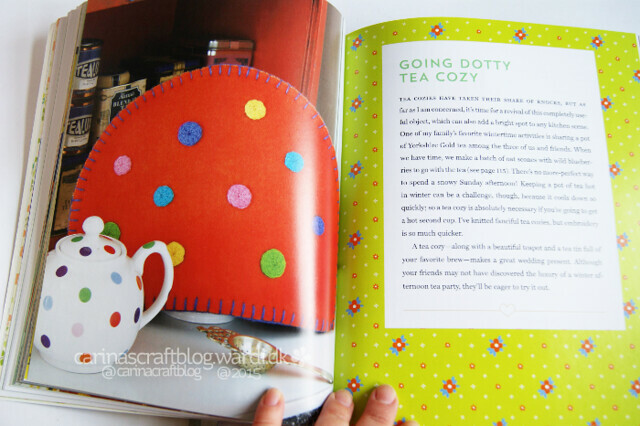 ‘Kitchen stitchin’ – A dozen projects for the kitchen, such as a tea cosy, potholders and a table cloth. 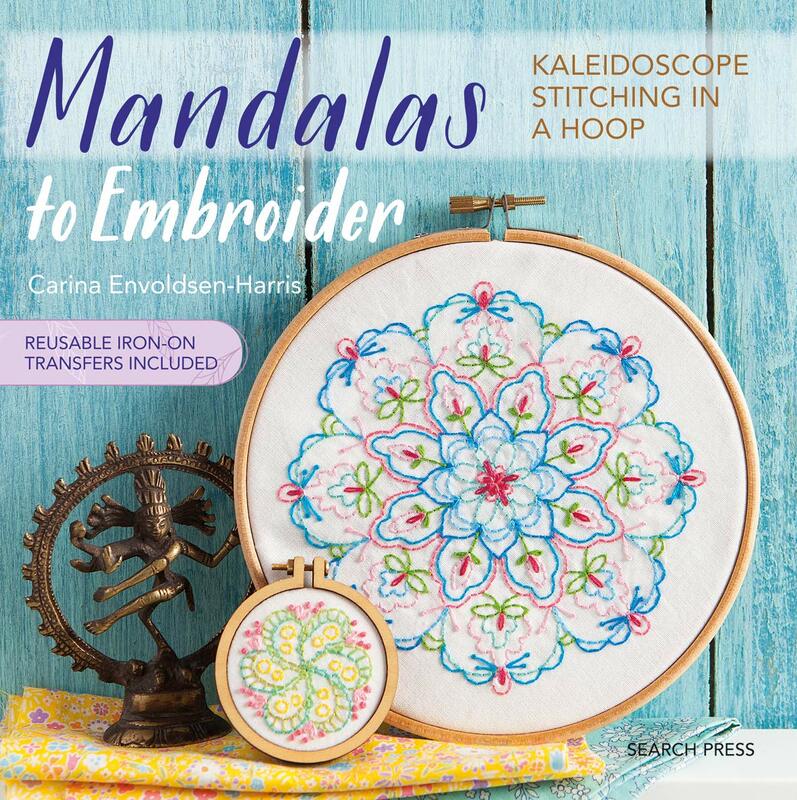 ‘A hand-stitched haven’ – In this section there are projects like a blanket, water bottle cosies and curtains and a little teddy bear. 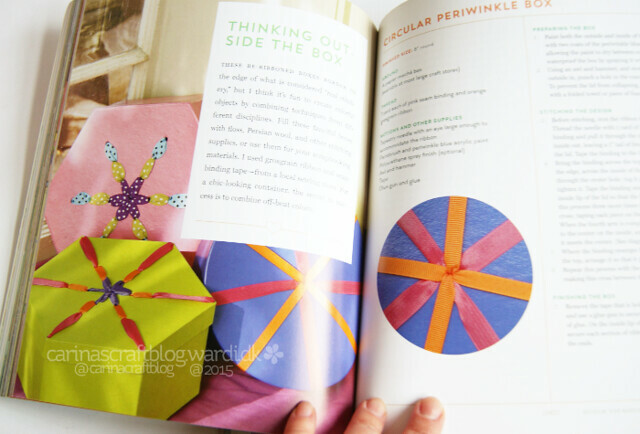 ‘Stitch yourself right out of the box’ – The projects in this part of the book are stitched on cardboard boxes, greeting cards and espadrilles. 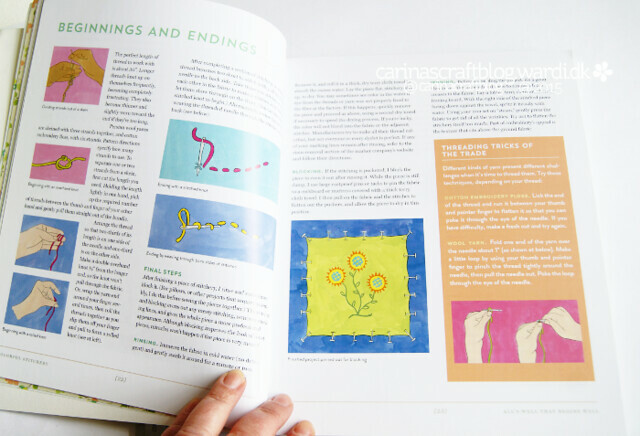 At the end of the book there is a section with supply sources (mostly US ones as far as I can tell) plus the patterns and templates for the projects. Dotted throughout the book there are pages with interesting back stories about for example gingham aprons and samplers. I like when books have little surprises like that. Speaking of surprises, the end pages of the book, and several divider pages have lovely colourful patterns that break up the sections and add another bit of colour. Many of the projects have a cosy style, with lots of felted textiles and wool embroidery. 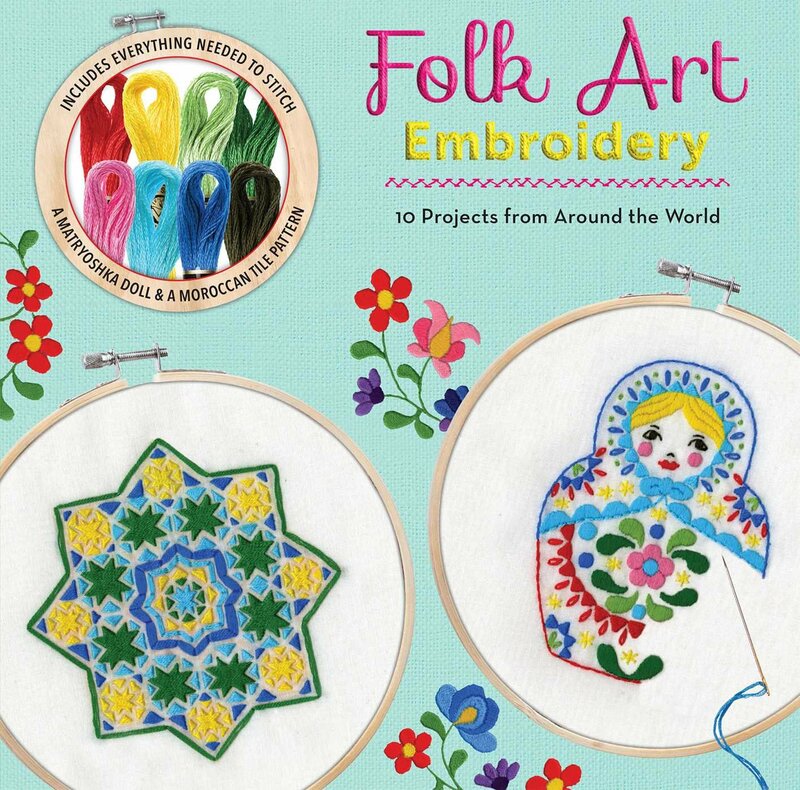 If you like your stitching to be colourful and have a sort-of country-ish feel to it, I think you will really like this book. 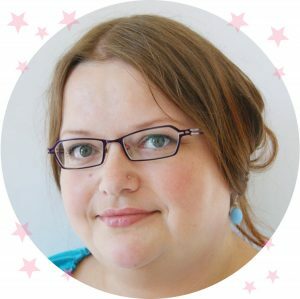 Next Post Mini Embellishment Club – reduced price last chance!